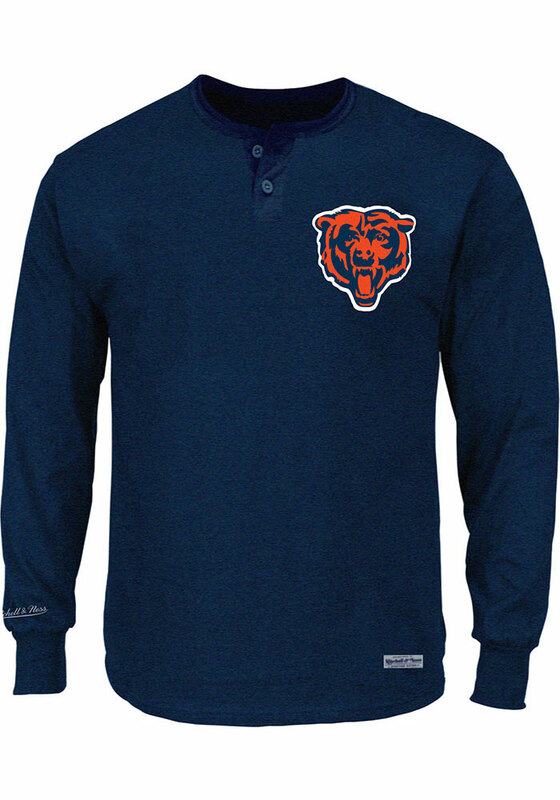 Put your Chicago Bears spirit on display in this Chicago Bears Navy Blue Long Sleeve T-Shirt! This Chicago Bears Slub Tee Big and Tall Long Sleeve T-Shirt is perfect for showing off your team spirit in cooler weather. Featuring a screen print team graphic, this Chicago Bears Big and Tall Long Sleeve T is perfect for any Bears fan. Go Bears!